Calling all bikers! Make sure to check out Julia Rothman’s latest offering for Windham Fabrics – Ride. 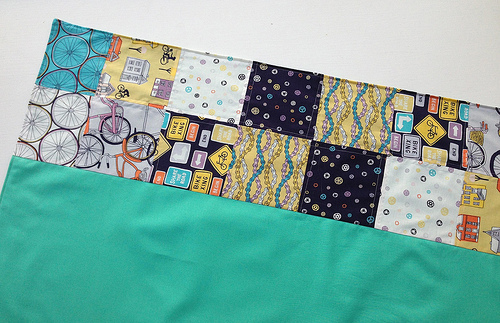 This bike-themed collection features everything from gears to traffic signs. I made my own table runner for summer entertaining with a sample I received, but check out this post from Windham’s blog for a roundup of other project ideas featuring the fabric.